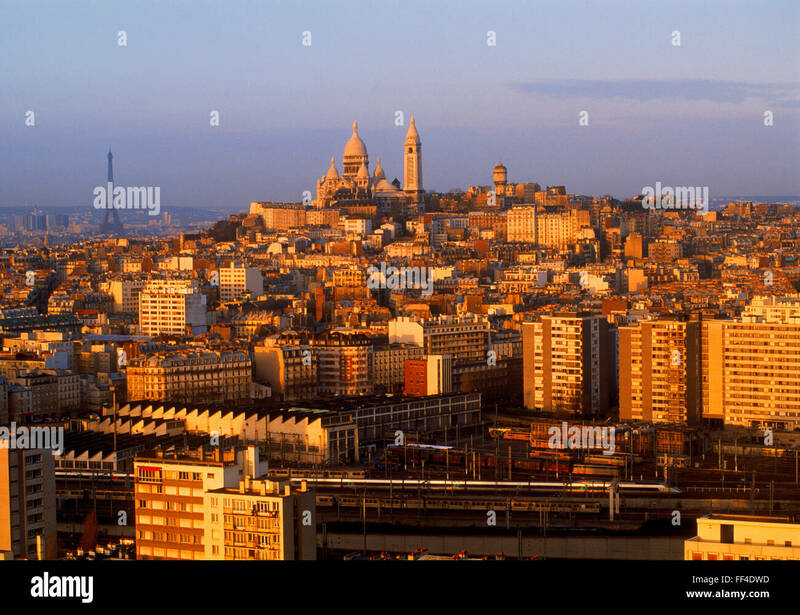 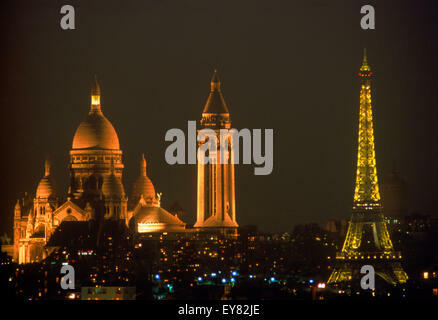 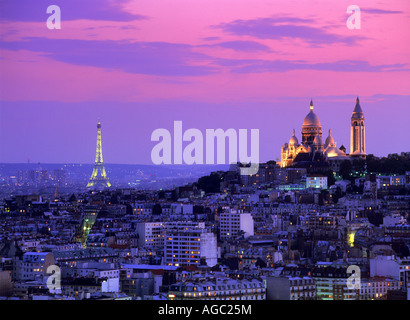 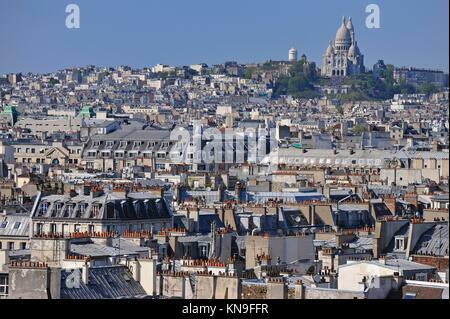 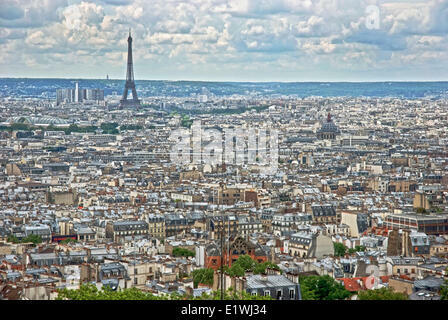 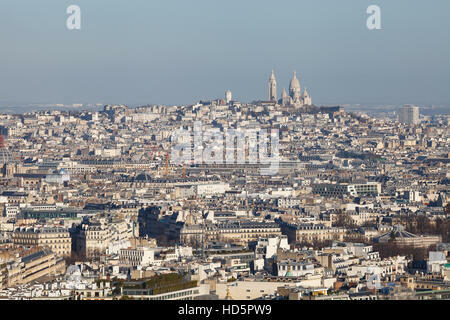 Paris cityscape with Montmartre hill and the Sacre-Coeur from the Eiffel Tower, Paris, France, Europe. 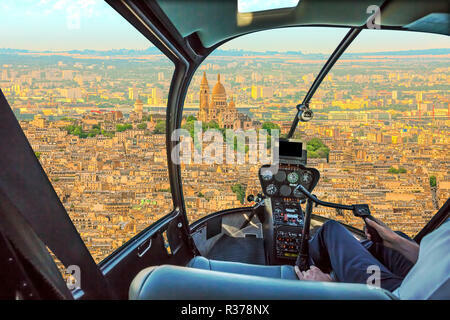 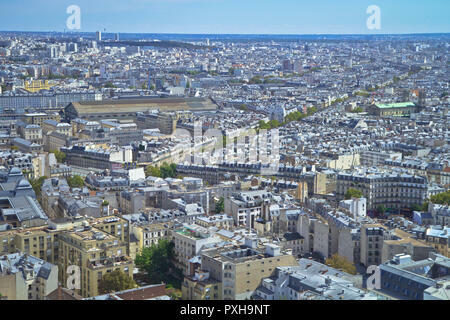 Helicopter cockpit flying on Montmartre hill skyline of Paris, French capital, Europe. 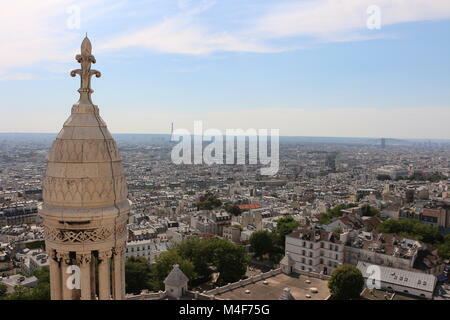 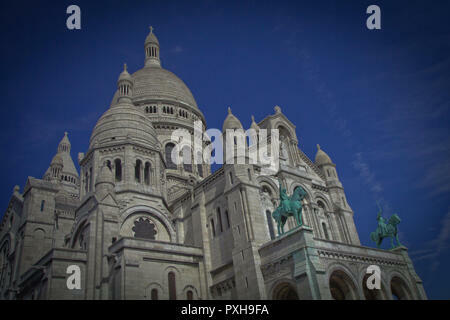 Scenic flight above Sacre Coeur basilica, or sacred heart church on Montmartre hill. 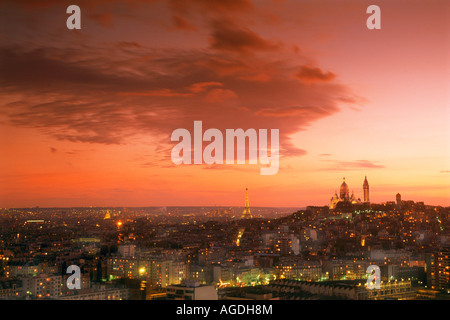 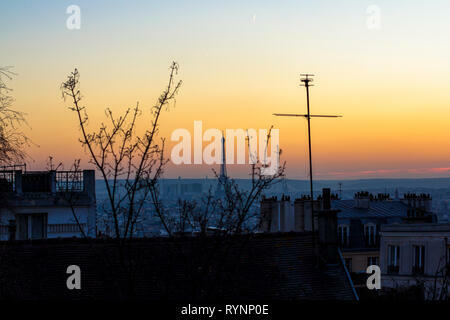 Sunset in Paris, view of the roof of houses and Eiffel Tower. 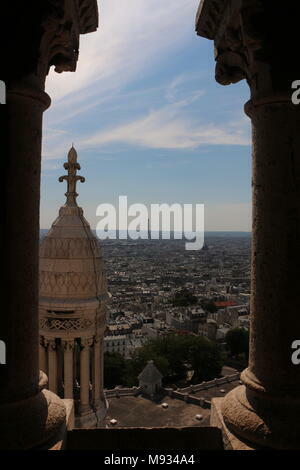 View from Basilica Sacre Coeur.